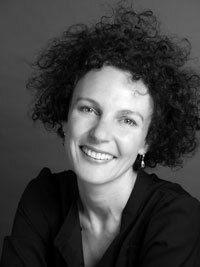 With the 2014 Patrick White Playwrights' Award and Fellowship about to be announced, Hilary Bell looks back at what the Fellowship meant to her. When I was awarded the Patrick White Fellowship last May, I saw it as an opportunity as much as an honour, and I resolved to make the most of it. It was open to interpretation: being only in its third year, there were few rules and many blank spaces. So I interpreted it as a residency, hoping it might fulfil the things I was looking for. Recently, I looked over the list I made at the time, and none has been neglected. Having a place to write that wasn't my bedroom. I've spent a happy year in an office that includes two resident directors (hardworking but always up for a chat), as well as a library of playscripts and theatre books. Having someone to talk to. My bedroom has two cats, but the STC has Polly Rowe, an onsite dramaturg I could buttonhole every time I made a cup of tea. Being invited to watch company runs, the wonderful moment when a production hovers between rehearsal room and stage. And most importantly, having a theatrical home for a year - a place where I knew names and faces, that I was invested in, where I felt welcome. Recently I organised an intimate gathering of playwrights and critics, two groups of writers who love theatre but rarely talk to each other, in order to hear about each other's craft / aspirations / frustrations. It was a fulfilment of one of the Fellowship's few requirements, my 'contribution to the industry', but what a rare chance, to assemble these people and ask them things I'd always wanted to know. Fortunately for me, the Fellowship includes a commission for a new play, so my bike-rides to the Wharf and bailing-up of Polly will continue. The play wouldn't exist without resident director Sarah Goodes, who indulged me in many walks and talks. This was supposed to be a brief note, but my gratitude to the STC and acknowledgment of what this Fellowship has meant can't be contained in less than nine paragraphs. Sadly, I can't be present at tonight's announcement, but I'm glad for the opportunity to express my thanks to the entire Company, and to the spirit of Patrick White, for the gift that has been this past year. I wish my successor all success, and warmly congratulate the winners of the Award and the Fellowship.